Sliding Glass Roof Systems, year-round reliability and significant savings on operating costs. Retractable Enclosures saves space and frees up floor space when enclosure is not in use and increased productivity. The sliding glass roof concept is simple and provides the best protection from all of natures elements. Slide Open Glazed Roofs systems are excellent solutions for outdoor patios at restaurants & cafe, motorized rooftop applications that the perfect outdoor event isn’t ruined by weather. Openable Glass Roof Systems can be opened up to the outdoors with drive system. 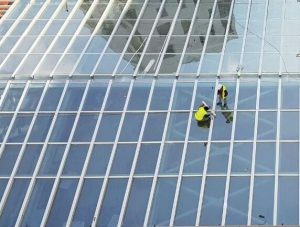 Retractable Glass Roof systems can be opened in nice weather and closed in bad weather. Perfect for indoor and outdoor living spaces. 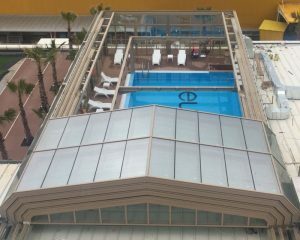 Moving glass roof systems provides innovative solutions for indoor & outdoor living. Moveable Glass Roof – Movable Glass Roof – Sliding skylights add something indefinably special to a room, especially when you can open up almost the entire ceiling space to the outdoors, delivering a constantly changing environment within your building at the touch of a button. Retractable Enclosure Systems whether your needs are for residential, commercial, ( cafe,restaurant, shopping center & mall ) or any other application that would require a retractable enclosed space. Operable glass roof systems redefine architectural possibility, forging performance, and aesthetics,. Erbir Yapı was established in 2003 to serve as an architectural design an application company in Retractable Glass Roof Systems, Retractable Enclosures, Skylight, Glazing Applications, Winter Gardens, Facade Applications and Steel Construction Applications by Arct. Mrs. Biray BATAL & Mr. Ertan BATAL.